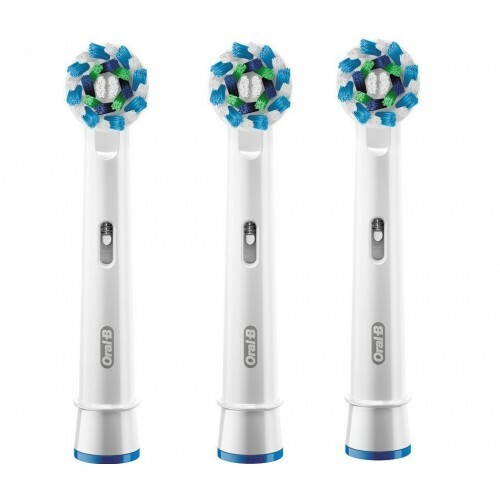 Designed for Oral-­B electric toothbrushes, this pack of three replacement toothbrush heads will help to ensure that your electric toothbrush keeps performing at its best. With a specially angled brush and strong bristles, these brush heads are designed to reach deep between your teeth to ensure that everything is covered for a more comprehensive clean. These brushes can remove up to twice the amount of plaque than a typical manual toothbrush. Typically, you should replace the brush head on your electric toothbrush every three months.